Find everything you need to build your dream dollhouse with Superior Dollhouse Miniatures. High quality and affordable, our selection of Sprayers, dollhouse miniature furniture, building supplies, accessories, dollhouses, and miniature decor will provide detailed charm to any remodel or new construction! 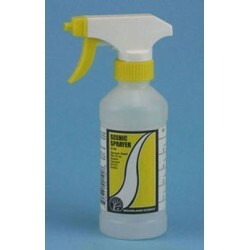 Redecorate and redesign your dollhouse with this Scenic Sprayer. Your decor and collection of miniatures will be taken to another level of fabulosity.